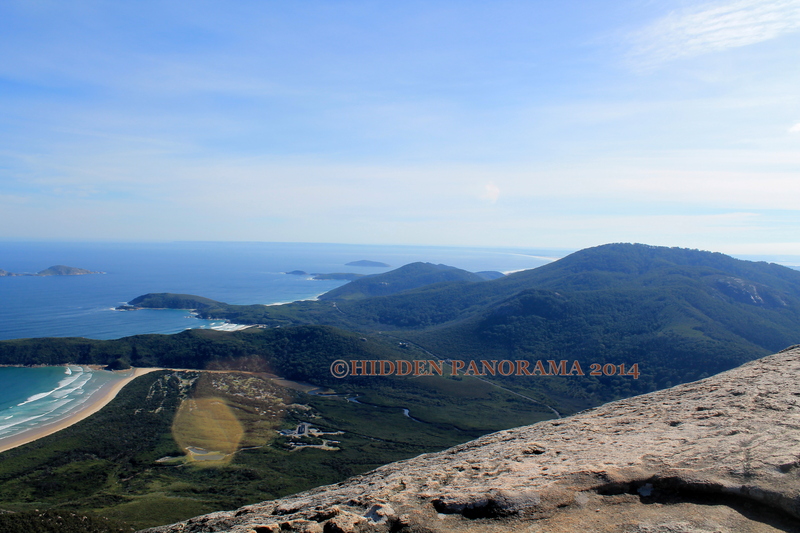 I had been in Australia, specifically in Melbourne for more than a year, but I it was only last May this year that I got a chance to visit Wilsons Promontory National Park (Wilsons Prom or The Prom) . One of the reason why it took me so long to visit this beautiful park was because there is only one tour company that offers a day tour in this amazing park from Melbourne and it only happens during Wednesday and Sunday of the week (sometimes during Friday in summer season). I am not really available every Sunday (only free in some special occasion) and I am working during weekdays. What are my options? File a vacation leave on Wednesday. It was my third assignment in Melbourne and it was my last two weeks in Melbourne as well. My overtime at work has been filed up and I am a person who prefers to offset my working time to a leisure time especially if I am outside my country home. 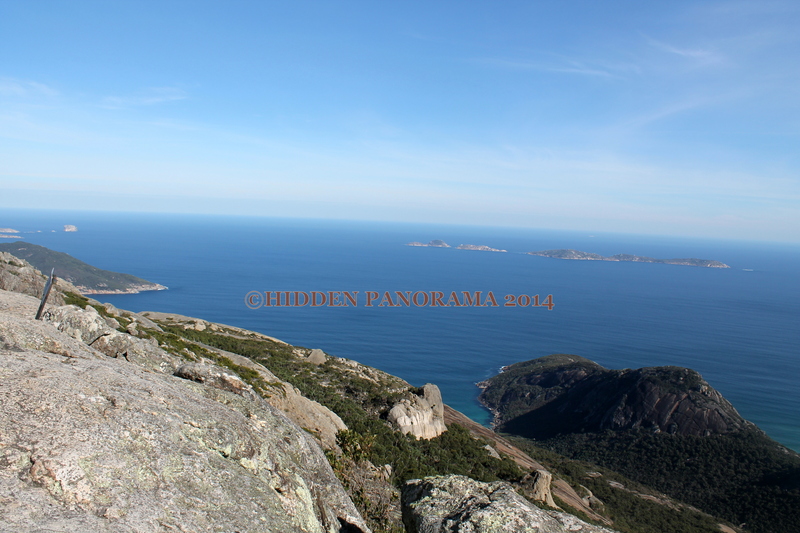 The overtime that filed-up during deployment in my project, I was able to offset and used it to see Wilsons Prom. Last May 14, 2014, I was book on one day tour for this park and I was honestly excited, it’s been so long since I was with mountain or hills and I really missed it. My last climb that I did back home was last October 2012, a little bit trek in Red Center (Ayers Rock, Kata Juta, Kings Canyon) last March 2013 and in Grampians last July 2013. It was Wednesday, I woke-up and prepared myself early, though I was a bit of nervous, because I knew for myself that it maybe difficult for me since I was not really physically active and fit for the climb. Because of my eagerness to see great scenery in my tour and because its nature trip which I really love, it did not stopped me to push this tour. The tourist bus came to my hotel where I was staying in Melbourne and dropped us to their office to gather other tourist that will join the same tour. After few minutes passed, we hit the road to Wilson Prom. 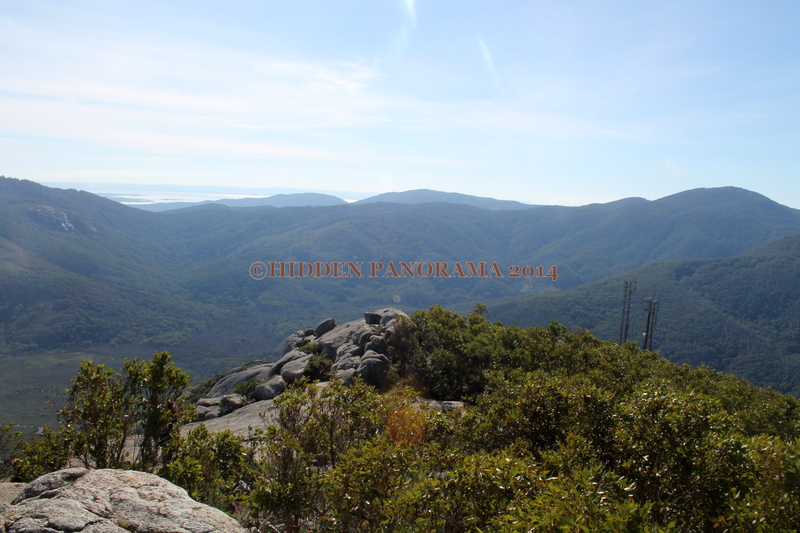 Since the The Prom Park is the southern most point of mainland Australia, it took us around four hours to reach the vicinity area of Mount Oberon where the tour starts. The park is part of Gippsland, one of the areas of Victoria that I haven’t really explored yet. One thing that I observed along the way, I can say that Gippsland is a country place in Victoria, most of the things that I saw are farms. I saw similar settings when I went to Howqua Valley and this scenery made me feel relax and calm. I like the scenery because life in the city is really tiring. I felt re-energize every time I will be out-of-town with nature. We drove halfway of Mount Oberon from the Wilson Promontory Road to Car Park (which part of the mountain), and we trekked half or lesser up to the summit of the mountain. The trek was not the same to my previous climb back home, because the trail is a road that one vehicle can pass through it, I don’t need to crawl or hang to tree branches and roots. The ascent was literally walking in steady incline road and it was difficult for me since I am not used to exercise. I think I was the last person to reach the summit because I did not put pressure to myself to be with my group, most of them were fast and I knew that it was really easy for them. I felt again being like asthmatic that I always catch my breath, but I knew that it was normal for me because I am always like that in the first part of my every climb. While ascending, I appreciated the nature and felt the fresh air, then thought that kind of feeling cannot be experience while living in the city. The road trail were ended and the boulder part of the summit appears, the good thing about it is that trail has handrail that made the climb easier. The weather was great and I was able to reach the peak. Though I was tired but the view that I saw at the top was stunning that I felt every fatigue that I had while on my way to the summit were all gone. 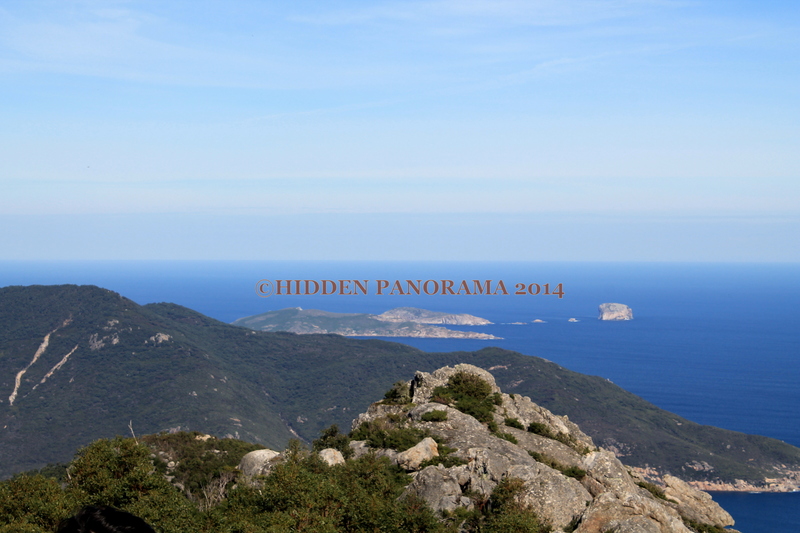 From the peak, I saw the following panoramic views of some coastline of Wilson Prom peninsula, bays, beaches and some islands. After spending sometime for photos, we had our lunch in the summit and took some time to rest while enjoying the views. After sometime, our tourist guide decided to descend the mountain, then we moved to another area and discussed the next activity that we will be doing around Wilson Prom. 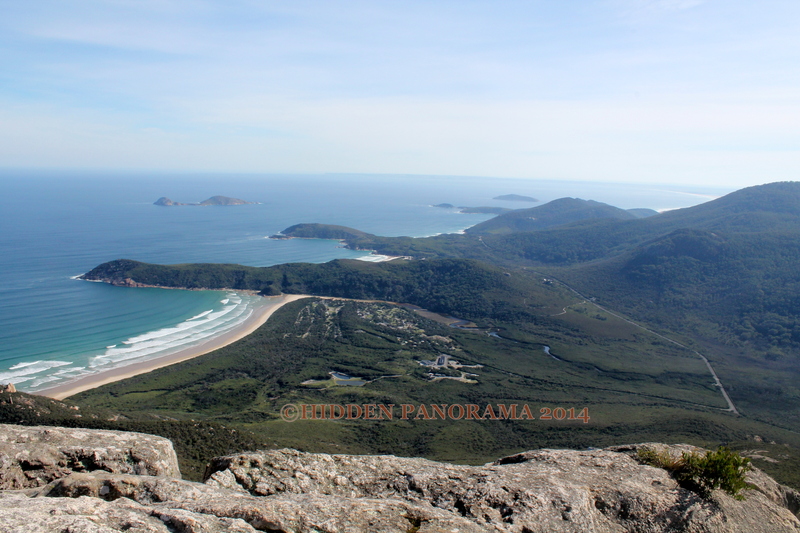 The plan was to walk in two beaches around the area namely Norman Beach and Squeaky Beach. 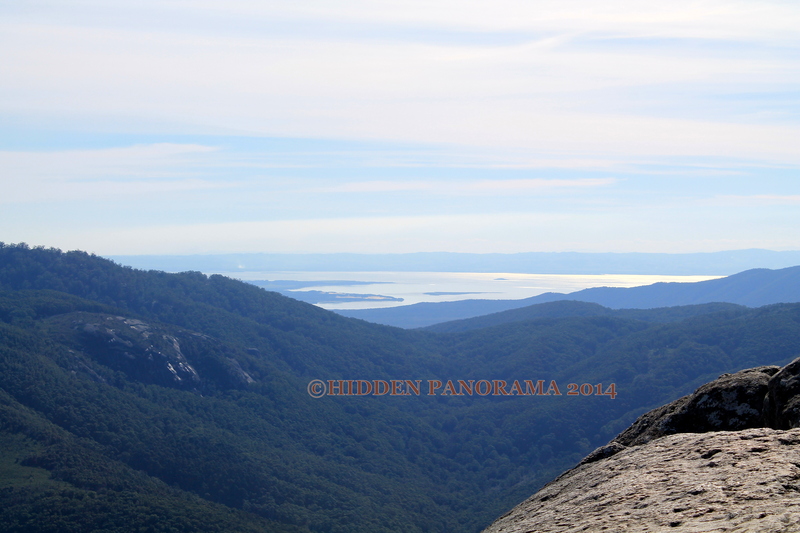 From the car park where we ended the hike in Mount Oberon , we drove to Norman Beach car park area. And from there we did walk in the beach. 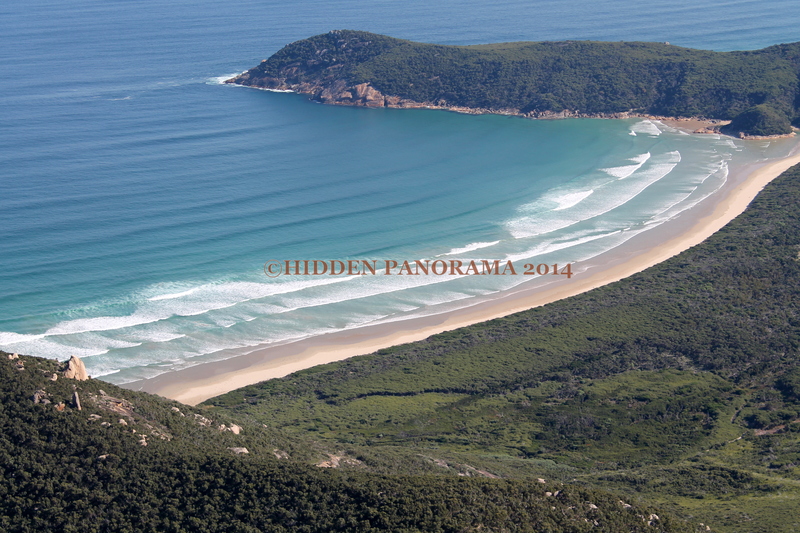 It’s in Norman beach where we found the beautiful waves coming to the coast at the summit of Mount Oberon. 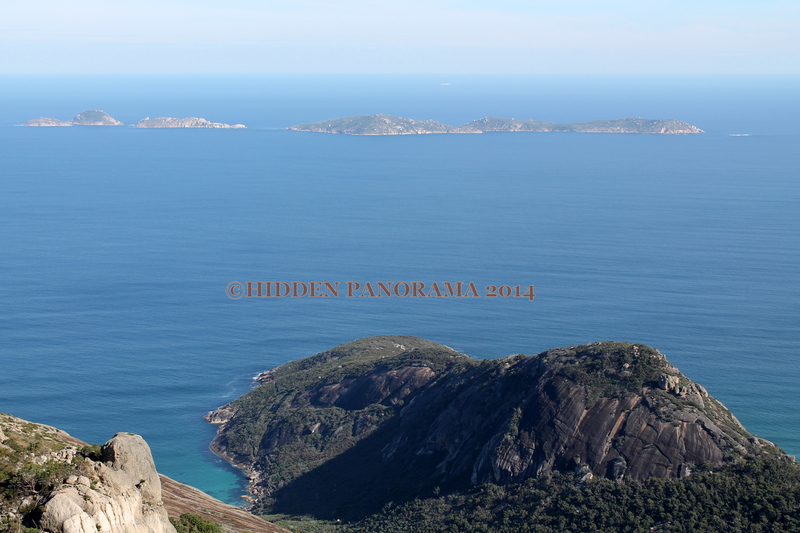 After enjoying few minutes of taking photos in Norman bay we moved to another parking area where we did a little bit of trek to go around Pillar Point where the Tidal River track and Squeaky Beach Track are joined. During the walk and trek I saw the beautiful river of Tidal River when crossed it from Tidal River Track. Aside from panoramic and scenic view of the river, I did enjoy as well the views of the coastline until we reach Squeaky Beach. 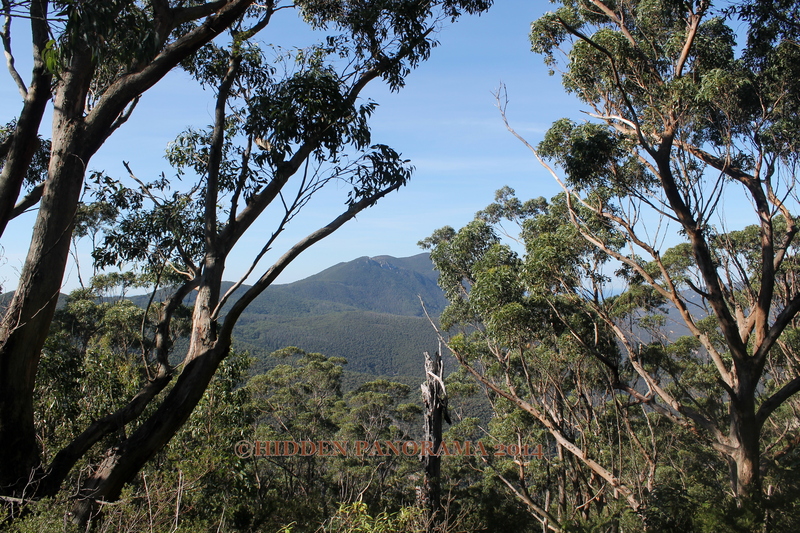 After bush walk and beach walk, the tour was finished and before we totally left Wilsons Prom, we stopped in one area in the national park after we saw animals beside the road, we saw wombats and kangaroos and I enjoyed watching wombats because they were hiding and avoiding people. Wombat is an animal that is nice to hug like a teddy bear. I also learned that name of the national park was came from Thomas Wilson (when he was honored by their friends namely Matthew Flinders and George Bass – Explorers who discovered one part or another of Australia).